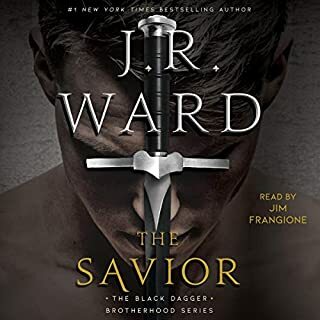 J R Ward does not disappoint! This book gives light to Murhdurs story and his climb back into the good graces of the BDB. As always, Jim Frangione does an amazing job giving voices to our beloved characters. My only complaint is that sometimes it’s hard to differentiate between the characters voices, but the narrator was still very good! Excellent second book in the TDH series! (Tall, dark & handsome) there are several true LOL scenes in this book as well as plenty of time to fall in love with the characters! As always, Anne Pepperidge and Tad Branson steal the show with phenomena narration, I keep forgetting I’m listening to a book and think I’ve closed my eyes and drifted into a different world. So sad to see it end!!! This series has finished with a bang! Summoned to Thirteenth Grave wrapped up the Charley Davison story nicely. 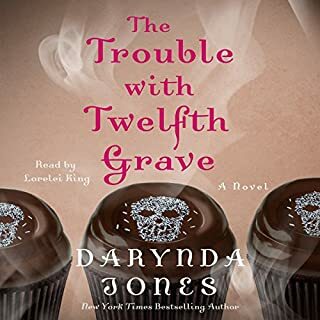 Like her last 12, Darynda Jones takes us on a hilarious roller coaster ride of suspense and elation! Lorelei King is one of the best narrators out there, you really forget you are listening to ONE person! 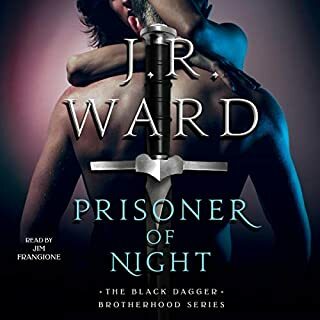 This Novella is within the BLack Dagger Brotherhood World, but it introduces-new characters. True to form, Ward writes a gripping tale. The narrator, Jim Frangione is the absolute best! You really forget that you are listening to one voice! This is not your typical ménage romance, this is twisted, dark and angry... the storyline twists and turns, the characters are not sweet and easy to love, and in the end you will be angry that you have to wait until the next book to discover more of the story!! The narrators are wonderful, Luke Jackson does a great South African accent, Ava Erickson adds so much depth to her reading and Tad Branson... He makes me forget that I am listening to an audiobook and places me smack dab into his characters head! This new collaboration between JA Huss & Johnathan McClain is charming and fun. The main characters, Eden & Andrew, are lovable and quirky from the first few chapters. I found myself giggling, smiling and often laughing out loud. The “rock wall” incident sealed the deal for me! The amazing narrators brought this book to life. It’s almost like being inside Andrew and Edens head, listening to their thoughts, rather than having a story read out loud. Bravo HussMcClain, I’m eagerly awaiting book 2 in this series!!! 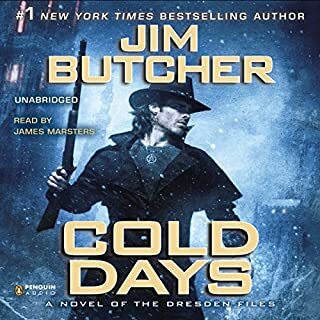 The Dresden Files are just the best and most exciting books. Cold Days does not disappoint! James Marsters brings Harry and his gang to life in the most exciting and fun way! His narration makes me believe I am watching a movie with different characters! The storyline keeps getting better and better! The narrator is quirky and fun to listen to. The characters are so endearing and interesting! My heart broke a little at the end, I hope this isn’t the last in the series! 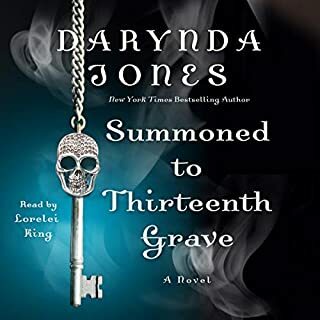 Darynda Jones has the innate ability to wrap our hearts around her characters and make us love them. 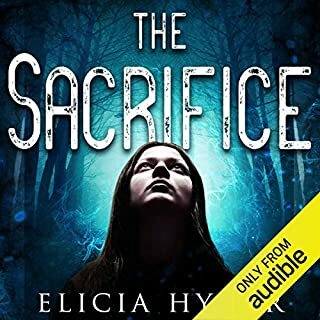 This is the best “grave series” book so far and yet again, she has left us hanging by our fingernails awaiting what happens next!